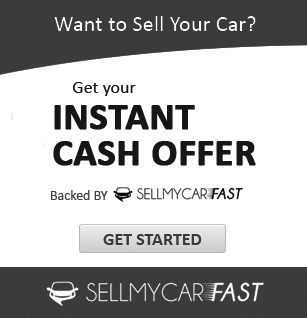 Cash For Cars FAQ - How much my car worth? Q: Why “Sell My Car Fast”? A: We buy your car without wasting your time or giving you any unwanted hassles. At the top of that, we pay top cash for cars in New Zealand and offer free auto removal throughout the Country (location verification is required though). We are the only certified used car buyers who buy or sell cars nationwide. After serving more than 20 years in the automotive industry, our combined expertise has reached at the top level. A: Basically, it depends on the make, model and condition of the vehicle, however, we pay the maximum cash for used, old, new, accidental, second hand and written off cars. 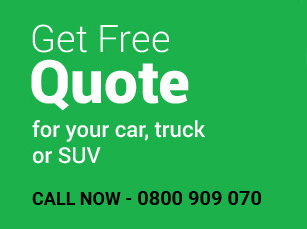 Give us a free call at 0800 909 070 and find out the price for your car now. Q: Can I get the instant quote on phone with no obligations? A: Yes, we provide FREE Cash Quotes online or over the phone – no obligation charges involved. If you don’t like our offer, then you can simply walk away. However, we are happy to match the price figures in your mind. We offer free phone service – you can give us a call at 0800 909 070. Q: How long would you take to do the car inspection? A: The car assessment will take around 20-25 minutes, depends on the age and condition of the vehicle. All the paperwork shall not include in this time, we can do that at our end. Q: Which documents do I need to provide? A: To make the whole car selling process easier, we only ask for the vehicle registration certificate and the copy of your driving license. Q: Can I get the same day car removal service? A: In most of cases, we offer same day auto removal, however, sometimes it can take another day, depends on the busy schedules or rural locations. Q: I am getting a better price than you guys, will you match it? A: We pay top cash for cars so yes, we can beat any competitor’s price, however, make sure that price must be genuine. In this case, give us a call at 0800 909 070. Q: Will you take care of all the paperwork procedures as part of the deal? A: Yes, if you deal with us then you don’t have to worry about the paperwork hassles, one of our expert crew members will take care of that on your behalf. Q: My car is in debt, will you buy if it is financed? A: Yes, we do. However, please contact your finance provider to show us the final payout figures and we will pay that off. In the event of a payout amount bigger than your vehicle’s worth – we will advise you the best option to sell your car. Q: Are you guys Nationwide or limited to certain regions? A: We are offering our cash for cars services throughout New Zealand so please contact us if you are living anywhere in New Zealand. Our Major servicing regions are Auckland, Hamilton-Waikato, Christchurch-Canterbury, Wellington, Tauranga, Rotorua, Bay of Plenty, Palmerston North, Invercargill, Napier, Otago, Hastings, Dunedin, Whangarei, Gisborne, Hawke’s Bay, Manawatu – Wanganui, Queenstown, Southland, Nelson, Marlborough, Tasman and much more. We help people internationally if someone is moving from NZ to Australia as well. Check out Cash For Cars Melbourne page for more details.